What To Do If You Owe Taxes To The IRS? It is aggravating enough having the Internal Revenue Service (“IRS”) or another taxing authority such as the California Department of Tax and Fee Administration (“CDTFA”), the California State Board of Equalization (“BOE”), the California Franchise Tax Board (“FTB”), or the California Employment Development Department (“EDD”) chasing after you. 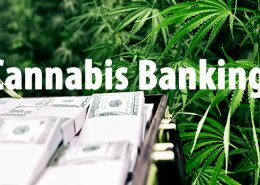 Even worse, having the Department Of Justice (“DOJ”) with these and other agencies lead a raid or financial shut-down on your state-licensed marijuana business. Tax trouble doesn’t mean you are bad – neither does it mean that you are beyond getting help… and having hope. Did The IRS Find You? Did The Feds Find You? 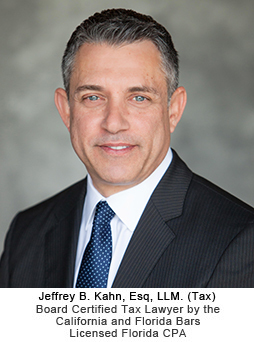 Jeffrey B. Kahn, the principal attorney of the Law Offices Of Jeffrey B. Kahn, P.C. 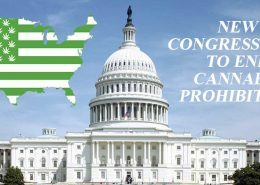 and head of the KahnTaxLaw team has more than 30 years of experience in resolving tax problems with the best possible result by effectively defending against criminal and civil actions and inquiries by the IRS and State Tax Agencies and by protecting our clients from domestic and international tax issues not yet detected by the government. Is the IRS breathing down your neck and sending you intimidating notices and telephone calls? Are you having tax problems? 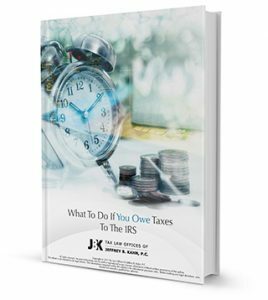 Is the IRS filing liens, garnishing your wages, levying assets, and devastating your financial and personal life? IRS tax debts require immediate action. Click here to learn the three most important things to do when you know you owe the IRS. We know how dealing with the IRS or any State Tax Agency can be a very stressful experience for taxpayers so we do whatever it takes, within the bounds of the law, to deliver top quality, non-judgmental legal representation to help you resolve pending tax matters and save everything you have built as we vigorously protect and fiercely fight for you in front of the IRS and each California Tax Agency – FTB, EDD, BOE, CDTFA and their appellate forums. There are many “tax relief companies” and persons out there who claim to be experts in resolving tax problems but relatively few are tax litigation lawyers or tax controversy lawyers. Tax litigation lawyers like us represent clients who have tax problems with the IRS or state taxing agencies. They will go to U.S. Tax Court, U.S. District Court, the Court of Federal Claims or in California Superior Court for California state taxes if necessary to defend you from government and make sure you are paying the least amount of tax as is legally possible. Our firm of tax controversy attorneys thinks “outside the box” if you have a tax problem and considers all angles – not just whether you would like an Offer In Compromise or an Installment Agreement to pay your taxes. 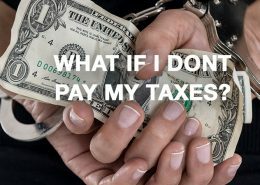 Through this unique perspective our tax controversy attorneys help individuals and businesses understand their entire tax picture and act accordingly in tax matters ranging from audits, trials, civil and criminal tax defense, and appeals. In addition our tax controversy attorneys can represent you in a wide range of tax problems including the securing of relief in the Offshore Voluntary Disclosure Program (“OVDP”), abatement of tax penalties, securing uncollectible status and removal of wrongful tax liens and levies. 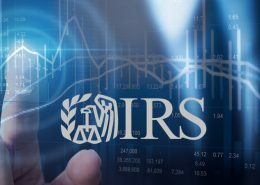 Let’s face it, when it comes to knowing tax laws and paying IRS taxes – everyone in the U.S. is either in tax trouble, on their way to tax trouble, or trying to avoid tax trouble! In short if you have a tax problem, let our team of tax litigation attorneys can help you. We provide tax problem representation for individual and small business owner taxpayers in IRS and State audit, collection, appeals matters, criminal tax defense, tax litigation and undisclosed foreign account amnesty. We went through a very stressful experience when we came to know about FBAR and OVDI and it disturbed our peace of mind. I found about Jeff online and I was living in India at that time. Jeff was able to understand my situation in one phone call. Our OVDI process started and I was working with Jeff while I was in India. His team is splendid. They would update me on every small things and I couldn’t have had a more professional team. They guided me throughout the process , answered every question that I had and I felt a lot better over time. Finally after 4 overs , Jeff was able to resolve my scenario and it was such a relief. 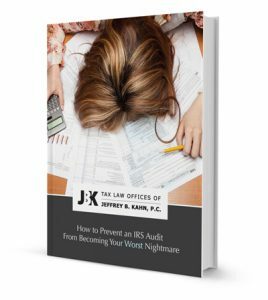 I really thank Jeff and his team and would highly recommend his services for anyone going through nightmares with IRS and taxation issues. When it comes to representation in dealing with the IRS there is no better than Jeff Kahn period. Jeff knows his stuff and he knows exactly how to maneuver around and through the IRS. Jeff was relentless at breaking down the IRS and knows all the procedures and all the loopholes, you couldn’t have a better attorney in your corner than Jeff Kahn. His team in Walnut Creek are lightning fast at getting things done are extremely professional, understanding and very friendly . Jeff Kahn, save my company literally hundreds of thousands of dollars in unpaid taxes. I can’t thank Jeff enough he was absolutely amazing. Jeff Kahn has an excellent reputation here in Northern California and is well known for his ability to take on the IRS. I can’t think Jeff and his crew in Walnut Creek enough. Job well done guys. If I opt out of the OVDP and undergo a regular examination, is there a chance my case could be referred back to Criminal Investigation for penalties or prosecution? Yes. Criminal Investigation’s Voluntary Disclosure Practice provides a recommendation that you not be prosecuted for violations up to the date of your disclosure. If your disclosure is ultimately determined to have not been complete, accurate, and truthful, or if you commit a crime after the date of your voluntary disclosure, you are potentially subject to penalties and prosecution. If, after making a voluntary disclosure, a taxpayer disagrees with the application of the offshore penalty, what can the taxpayer do? 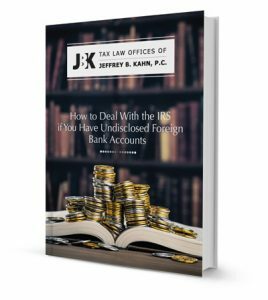 If the offshore penalty is unacceptable to a taxpayer, that taxpayer must indicate in writing his decision to withdraw from or opt out of the program. Once made, this election is irrevocable. An “opt out” is an election made by a taxpayer to have his case handled under the standard audit process. Some taxpayers may prefer this approach; in some cases the results under the OVDP may appear too severe given the facts of the case. In other cases, this is less clear. In these less clear cases, the IRS will protect its interests and the integrity of the voluntary disclosure program. In these cases, the IRS will likely conduct full scope examinations. Given that opting out will be appropriate for a discrete minority of cases, you should first seek tax counsel before making a decision especially since to the extent that issues are found in a full-scope examination that were not disclosed by the taxpayer, those issues may be the subject of review by Criminal Investigation. In either case, opting out is at the sole discretion of the taxpayer and the taxpayer will not be treated in a negative fashion merely because he chooses to opt out. 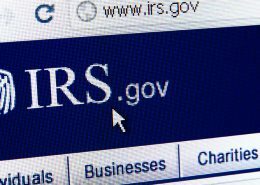 Even after opting out of the IRS’ civil settlement structure, a taxpayer remains within Criminal Investigation’s Voluntary Disclosure Practice. Therefore, taxpayers are still required to cooperate fully with the examiner by providing all requested information and records and must still pay or make arrangements to pay the tax, interest, and penalties they are ultimately determined to owe. If a taxpayer does not cooperate and make payment arrangements, or if after examination, issues exist that were not disclosed prior to opt out, the case may be referred back to Criminal Investigation. On May 13, 2015 the IRS released the memorandum titled “Interim Guidance for Report of Foreign Bank and Financial Accounts (FBAR) Penalties.” Does the May 13, 2015 Interim FBAR Guidance impact the computation of maximum FBAR penalties? If so, how? Yes. The May 13, 2015 Interim FBAR Guidance impacts the maximum penalty analysis. The maximum willful FBAR penalty under the May 13, 2015 Interim FBAR Guidance is “100% of the highest aggregate balance of all unreported foreign financial accounts during the years under examination.” Hence, the analysis now requires using the lesser of the maximum willful FBAR penalty under the May 13, 2015 Interim FBAR Guidance or the statutory maximum penalty for all years within the disclosure period. Through our Northern California offices in Walnut Creek, San Francisco and San Jose and our Southern California offices in Long Beach, Ontario, Irvine and Carlsbad, all matters are confidentially handled by our professional staff, resulting in high quality, cost-effective service. Click here for an interactive map of our California offices. If you’re located outside of these areas, our tax lawyers are available by calling toll-free 866.494.6829. Set up a consultation today and we’ll help identify the best possible solution to your tax problems. Don’t put off dealing with tax debts; inaction could be very expensive. Dealing with tax problems can be one of the most stressful situations you’ll ever face. All of the dense jargon associated with taxes makes haggling with the IRS an unpleasant ordeal for most people. And when your debt mounts faster than you can pay them off, your financial life can become a nightmare. Don’t face tax controversies alone. 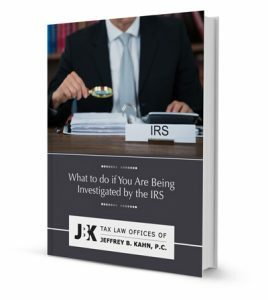 Instead engage the tax lawyers at the Law Offices Of Jeffrey B. Kahn, P.C. who will aggressively pursue the best possible result to fix your problem and protect your income and assets. We’ll deal with the IRS so that you don’t have to. Learn the three most important things to do when you know you owe the IRS. Put us to work to resolve your tax problems and give you a fresh start!